" These look like they came from a magazine" ..... typical of the many comments we receive after our prospective clients look at pictures of projects we have done. 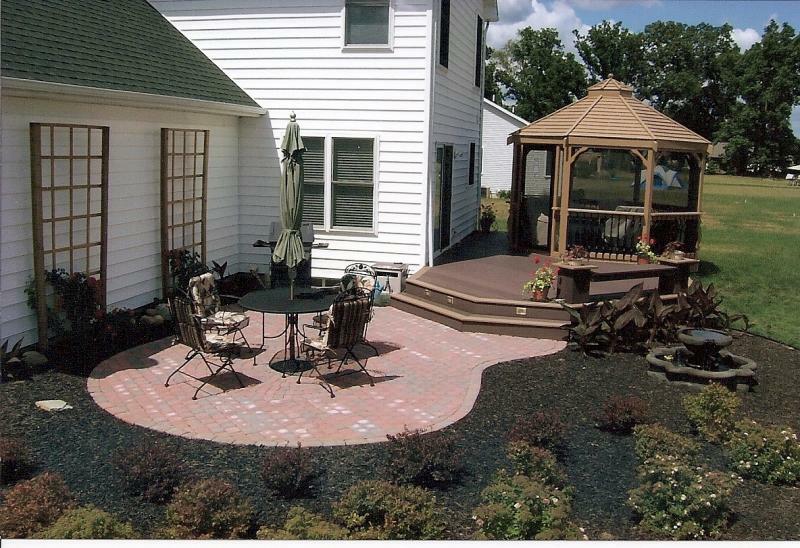 TREX Deck w/ 2-tone picture frame edge - Gazebo, step lighting - paver patio. 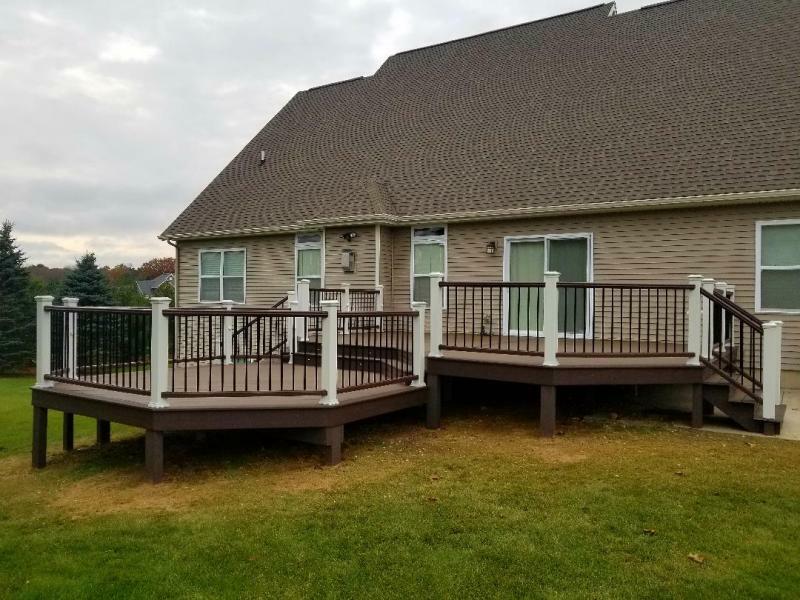 TREX 2 level deck w/ 2-tone edge and waterfall wrap around stairs. 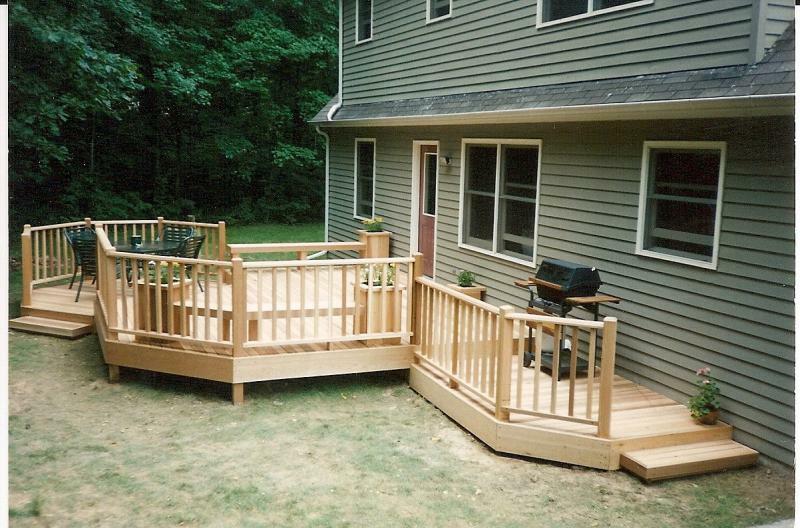 2 level freefrom treated deck w/ benches and spindle railing w/ routed top edge. 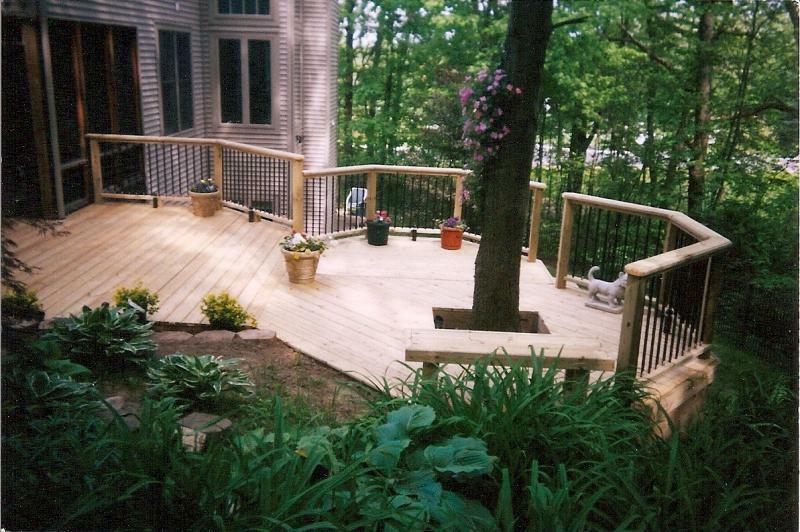 This multi-level deck remodel more than doubled the homeowner's outdoor space. 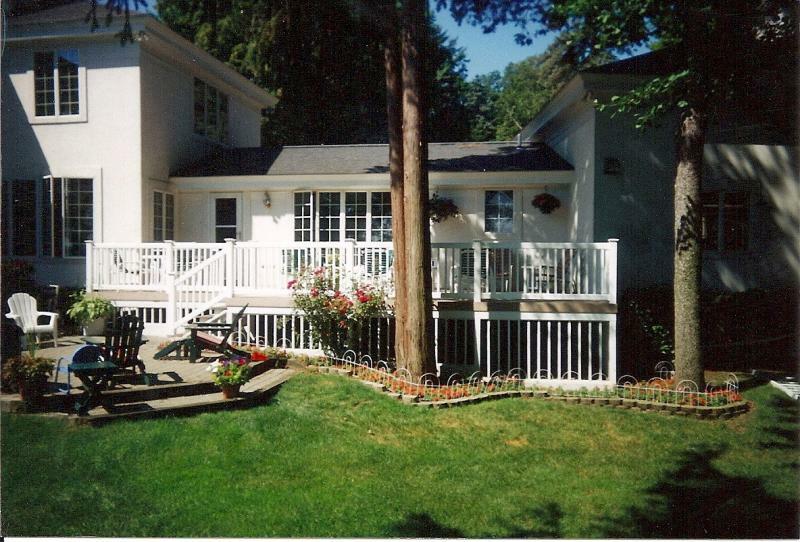 Multi-level cedar deck w/ spa, lighting benches, water garden w/ fountain. 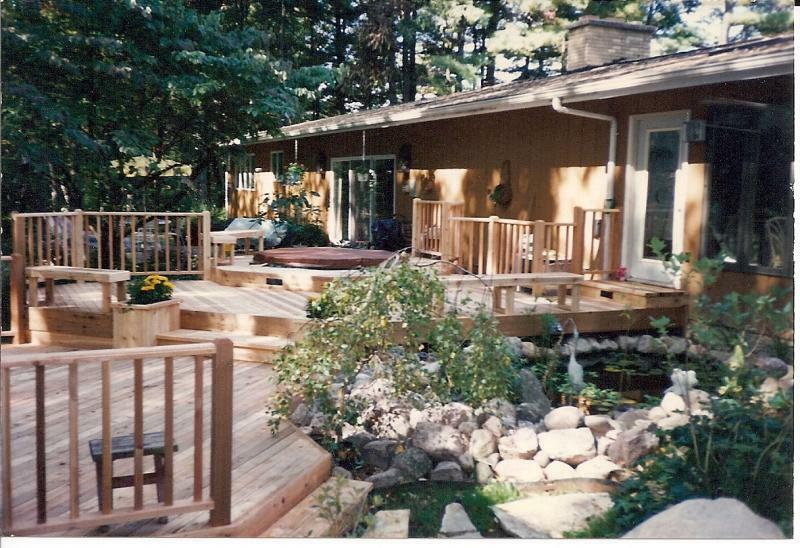 2 level cedar deck w/ planter benches. 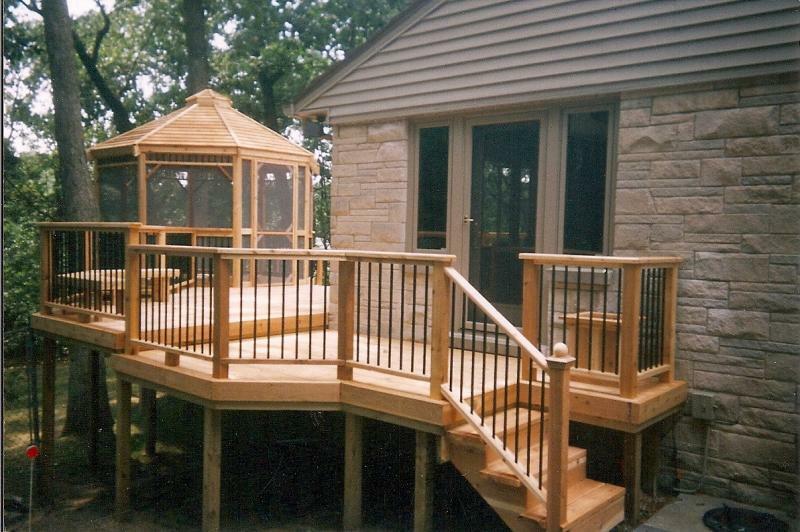 Multi-level cedar deck w/ Gazebo. 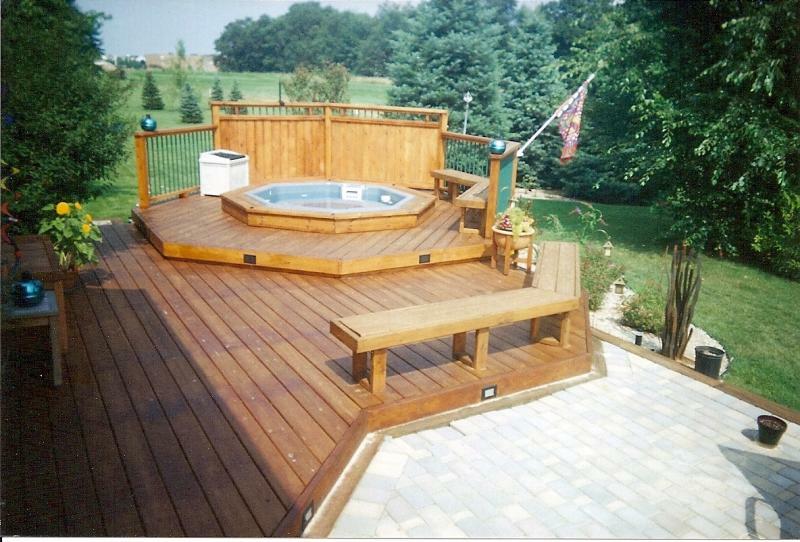 "Outdoor living at its finest!!"